At Primera Med Spa in Lake Mary, outside Orlando, FL, JUVÉDERM is one of our most popular fillers. It is ideal for folds and wrinkles around the nose and mouth, which are often some of the first and most prominent signs of aging. This hyaluronic acid-based filler adds subtle volume and softness for incredibly natural-looking results. FDA-approved JUVÉDERM helps our clients see younger-looking versions of themselves without invasive surgery. Let our skilled aesthetic professionals bring out the best in your face. Request a consultation online or call Primera Med Spa at (407) 936-3230 to schedule your appointment. Hyaluronic acid, the active ingredient in JUVÉDERM, is a substance that occurs naturally in human skin. Although it has several functions, one of its primary purposes is to keep skin and connective tissues healthy and supple. Hyaluronic acid is partially responsible for giving young skin its plumpness and resilience. As we age, hyaluronic acid in our skin diminishes, and the fat beneath our skin breaks down, leading to laxity and sagging. Unprotected sun exposure and other environmental damage can exacerbate this process, which is partially why daily sunscreen is so important to prevent premature aging. Millions of people around the world have trusted JUVÉDERM to restore their youthful appearances. At Primera Med Spa, our injectors are excited to help you develop a customized treatment plan that can have you looking and feeling better than ever - without surgery. Juvederm | Lips | Orlando. This 24 year old woman wanted a subtle improvement and fullness added to her upper and lower lips with Juvederm. These photos are taken immediately following the 10 minute treatment by Dr. Edward Gross at Primera Plastic Surgery in Lake Mary. Juvederm mouth area. Orlando. This 26 year old woman wanted the parentheses minimized around her mouth. The After photo is taken IMMEDIATELY following the treatment with Juvederm. Her mouth is softer and the naso-labial lines are gone. Her upper lip was enhanced slightly as well. Prior to undergoing your first JUVÉDERM treatment, you'll meet with our injector for a brief consultation. During this time, he or she will talk with you about your aesthetic goals and review your relevant medical history to ensure the product is safe for you. If you're a candidate, you'll typically undergo your JUVÉDERM treatment during the same appointment. Your injector begins by gently cleansing your face to remove makeup and other impurities. Because JUVÉDERM comes pre-formulated with lidocaine, a type of anesthetic, no topical pain reliever is necessary. Your injector administers JUVÉDERM to your treatment areas in a series of very quick injections, each lasting only a moment. After your treatment, your injector may offer you a cold compress to help ease swelling and residual discomfort. You should be able to return to your regular activities immediately following your appointment, which typically takes about 1 hour. 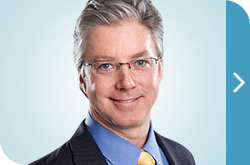 Dr. Edward Gross is board certified in both facial plastic surgery and otolaryngology, which means that he's devoted his entire professional career to the human face. Visit Primera to see how that expertise creates beautiful results every day. There is no measurable recuperation or downtime after a treatment with JUVÉDERM - simply return to your normal activities as you would after any other appointment. For the first several days, you may experience mild reactions at your injection sites, including swelling, bruising, redness, tenderness, or itching. You can typically conceal any discoloration with makeup. To minimize some of these symptoms, you may be asked to discontinue certain medications and supplements, especially those which thin your blood, for several days prior to your procedure. Our staff can give you more comprehensive guidelines when you contact us to request a consultation. The results of your JUVÉDERM treatment can last between 9 months and a year, depending on the treatment area and how your body interacts with the filler. Your injector can give you a more specific idea of the results you can expect. As one of the leading BOTOX providers in the nation, Dr. Gross has been recognized by Allergan as a Platinum Level BOTOX provider, Allergan's highest level of distinction. Copyright © 2011 - 2019 Edward J. Gross M.D. Copyright © 2011 - 2019 Edward J. Gross M.D. All rights reserved.  Primera Med Spa is a medical spa based in Lake Mary, Florida, and serving the entire Orlando metro area. Led by board-certified facial plastic surgeon Dr. Edward Gross, the aesthetic professionals at Primera Med Spa administer BOTOX® Cosmetic, JUVÉDERM®, Restylane®, chemical peels, facials, and other non-surgical procedures to men and women from throughout greater Orlando.